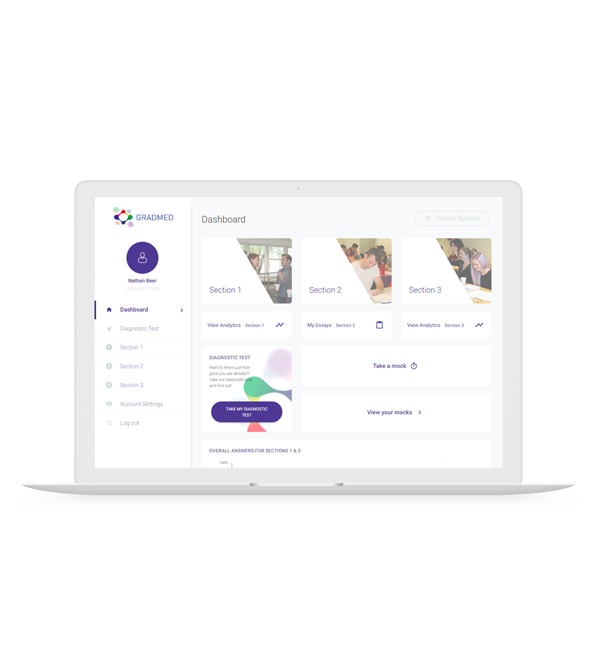 A bespoke .net GAMSAT online learning centre platform. GradMed has been the leading provider of live GAMSAT® courses in the UK and Ireland since 2002. They were looking to take the learning process online for the Australian market. A sophisticated online offering that offers both free tests as well as a paid subscription service was developed. Simplicity of design and speed of page load were two key elements to the project. 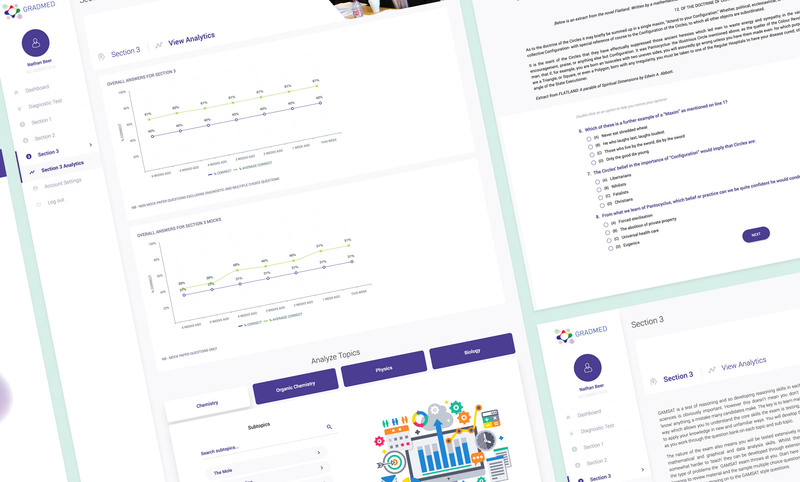 Most of the meat of this project is behind a registration or log in page so following a simple login process, a user dashboard was developed to show their latest results for each section. 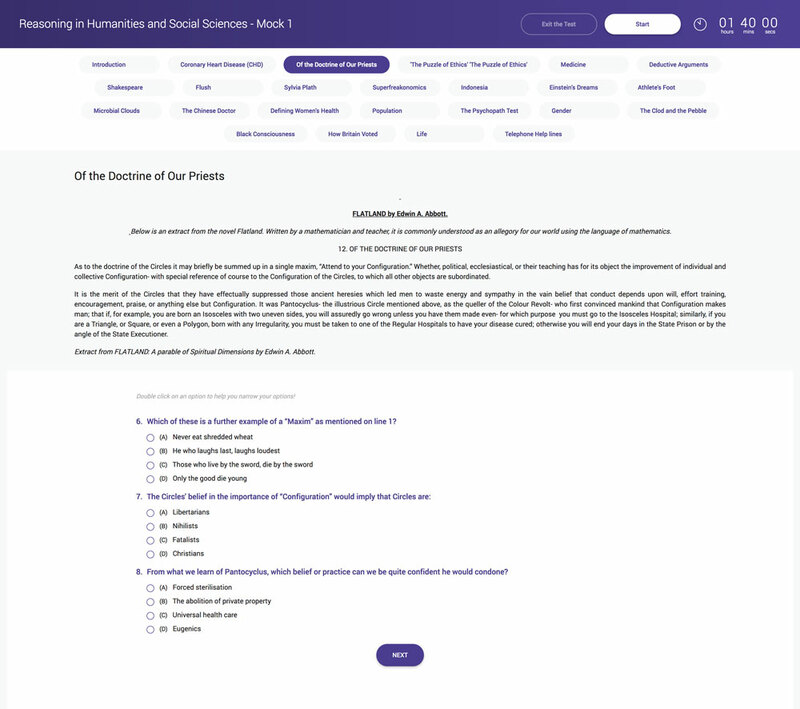 There is also the ability to compare results against other demographics with the system all of which goes toward the end goal of helping students improve their learning and GAMSAT scores. Although there was no real requirement for the site to work on mobile devices due to the complexity of the questions, the tablet view offers a great experience to users. Initial results show that the vast majority of users view from desktops with tablets at 5%. 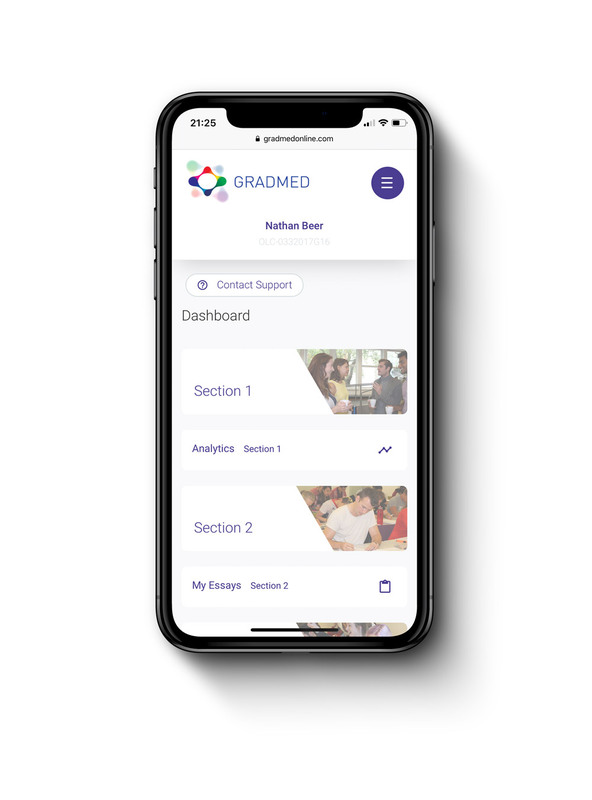 "After working with the team at Vital for nearly 20 years on a number of projects, it was an obvious choice to use Vital again for our next project – an online learning centre for GRADMED courses. 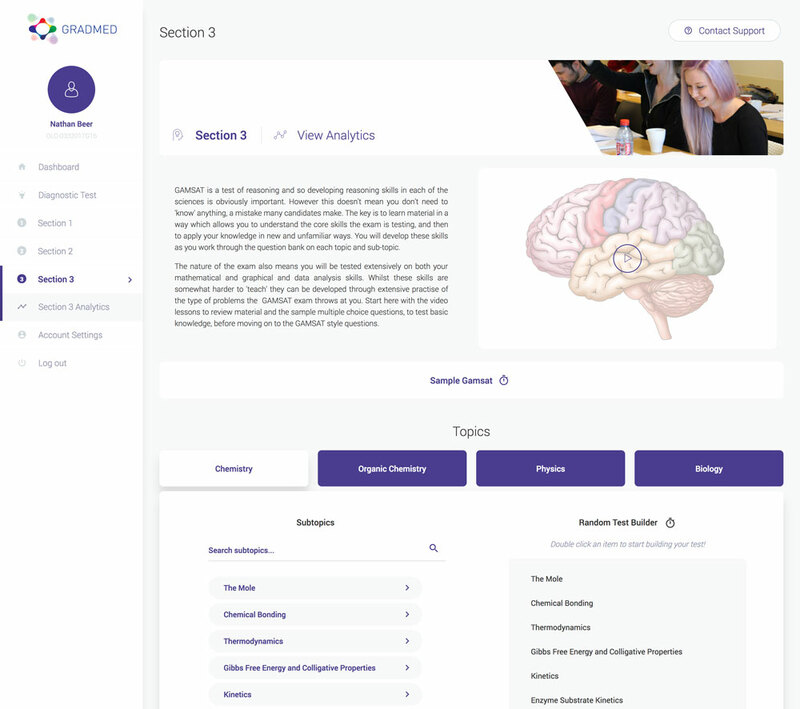 Introducing the new service with a single page website www.gradmedonline.com landing shows very quickly the services we offer on the learning centre. The main platform was very much an ongoing project with developments and changes along the way as Vital gave their input and we worked together to achieve great results. The team at Vital are always easy to speak to and I can trust them to make the best decisions for with the project. I would highly recommend them to any business looking to develop a new online platform."